Do you ever think of doing something good to the public but you do not know how? 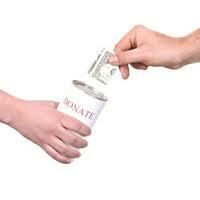 Do you also think of how to do a charity while investing? Let me tell you a good news well known to the public. Listed companies in Singapore and Malaysia do have their CSR (Corporate Social Responsibility) department to show their responsibility on social. For example, Mah Sing recently donated RM200K to Japan funds to support the victims there. It is a sign that by investing in a good reputation company, you are playing part of the role for the donation as well. It will give you a strong believe in long term investment. CSR not only can build up public image to the company, but it also shows that a society should have more good and strong company to support it. some of the examples of listed companies which hire thousands of workers. Without them, I believe our job vacancy rate will soar. Listed companies also pay taxes to the government. If the government can make use of those taxes and perform jobs that benefit residents here, I believe our life quality will get improved as well. So, don't waste your time. Just invest in a good company and you are also doing a charity here. Nice idea to doing charity through investment, this is what we call a financial management. Thanks for sharing such inspirational blog.